Observations about the business and people of advertising. Recruiting is a tough business because we often deal with things out of our control – like people. They do and say inconceivable things. Every recruiter has stories like this one. But I thought my readers would enjoy the insanity we sometimes have to cope with. Once upon a time, there was a financial person from a major agency who was very unhappy. He came to see me and I liked him very much. A few months later, I had a great job for him. One which had all the elements he was looking for – chance for advancement, chance to build a department under him, great potential with a wonderful boss. After a couple of weeks interviewing, he was told he would be hired; all that had to happen was to agree to terms and then get a formal offer letter. This was the second week week in January. During the several weeks while he was interviewing, he was responsive and returned calls and emails immediately. He agreed to the base salary and then was going to be sent the remaining terms (vacation, bonus, etc.) All of a sudden he fell silent. He did not respond to the terms letter. He did not return my calls or those of my client either. After trying to reach him for two weeks, I called his home and spoke to his wife. He called me the next morning with a long story about an ailing friend who he was close to and would need to take care of while this person was in hospice. He was obviously distraught. This was the first week of February. I found it strange that two weeks had gone by with no contract, but I rationalized that it was this situation with his good friend. He asked if he could start the job on April 1st so that he had time to wrap up this business.. We agreed. He spoke to my client as well and confirmed that he wanted the job and had asked for a week to read the terms and promised to get back to us. He never answered calls from me or my client. He never answered emails. Clearly, they had caller I.D. and they did not pick up when I called his home. At first we were actually concerned about him since he was beside himself over his friend when we last spoke to him. We thought that perhaps he had a breakdown of some sort. The month of February went by with not one word from him. After three weeks of complete silence, which included many unanswered emails and calls to his personal, work and home phones. The client and I agreed that we had no choice but to withdraw the offer. My client needed to fill this position and my candidate's actions indicated that he might be unreliable. Even in crisis, most people find a way to communicate. We have now found another candidate and that is progressing smoothly. I remained curious about what happened to my candidate. For me, there was an inexplicable void. Then, last week, I looked up my candidate on LinkedIn. And what did I find? My candidate had actually started a different job in January (yes, January), long before any of this had happened, despite confirming his acceptance to us in early February. What I think happened is that the story about the friend in hospice was true and he did take off from work to tend to his friend for a month. But what he was apparently doing was keeping us holding as a backup in case his new company decided to fire him since he had only been there a week or so when he took off for a month. Incredibly rude and odd. All he had to do was call or email a simple note saying that circumstances changed and he had accepted another job. But instead, he chose to be silent and ignore myself and my client leaving us in a total lurch. It still surprises me that someone who seems so nice, gets good references and is really smart and talented can have such low moral character. His actions were inexcusable. And I am still scratching my head. 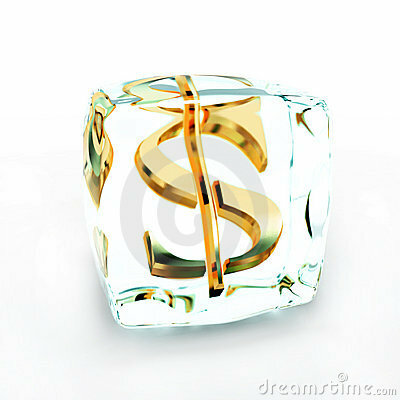 Are Corporate Salary and Hiring Freezes Really Freezes? Her comment reflected what every employee knows about these freezes. They are really counter-productive. What was once a smart business tool has, over time, become abused. My own belief is that most freezes are artificial for exactly what my candidate said. A wage freeze should mean that even if you get a new job, that they cannot counter or give more money. That’s a wage freeze. And a hiring freeze should mean that even if someone essential on the business should leave, they are not immediately replaced. I often wonder to myself if those freezes aren’t purely artificial. They make it easy for a company not to give a normal salary increase when due. They stifle growth. And they are an excuse for companies to keep financial ratios in line without having to do deep analysis to see if other costs can be cut or curtailed. Now we all know that if a fee based client (aren’t they all?) wants to add to staff that it will happen regardless of the holding company, and, whether or not their fee is increased to accommodate the new hire. Freezes are demoralizing. They force otherwise loyal employees to look for new work. This is especially true when workers know that their account or their agency is actually doing well. It hurts doubly when they find out that top management is getting bonuses during these freezes. Word of those things always leaks out. I do know about one really good wage freeze. Years ago at the old Kenyon & Eckhardt agency (merged into Bozell and then remerged into various IPG agencies), there was what I want to call a true freeze. It lasted about four months, as I recall. At the end of the four months, everyone who was due for a salary review and increase, was given their review and raise – retroactively to when it was due. It was a true wage freeze that allowed the agency to get through a difficult period. It was actually good for morale. And it made everyone feel good about the agency and its integrity. Unfortunately, it doesn’t happen like that anymore. Could Your Email Address Cost You A Job? Several months ago I wrote about emails being your personal brand. Your name belongs as part of your email address so that recipients can quickly and easily identify you – especially when you are looking for a job. You should never use nicknames, initials, or your high school monikers (e.g. stud@....). So much for that. (Check out the link if you want to know more). But recently I heard several disparaging remarks about people who use email hosts like AOL and Yahoo! I thought I would make some observations about this. I attended a seminar a couple of weeks ago. An agency president, who was on the panel, commented that when he sees a résumé with an AOL or Yahoo URL, he immediately discounts those candidates as being old fashioned and out of touch. I found that ridiculous and slightly insulting. However, then this week, I was interviewing a very senior executive who said the same thing. The first time I heard a comment about email URL's was a year or two ago when a candidate asked me about this since another recruiter had told him to change his host. So now I am thinking that there really is some substance to these comments. I can think of a number of senior agency executives who still use AOL and Yahoo. In one case I actually commented this to an agency principal who used AOL. His response: “I have had this email address since the 1990’s when I first got email. Thousands of friends and business associates have it and it would be too difficult to change it. Besides, who cares?” I fully agree with him. This discussion and the recent comments started me thinking. Just like my premise about bringing coffee on an interview, if there is a five per cent or even 2% chance of turning someone off while looking for a job, why risk it? Especially since adding an email account from Google or another contemporary company is free and easy. And, it can be done only for your job search, if you prefer. It would be sinful for someone not to get a job because an executive they were interviewing with did not like their email host. Or even worse, decided not to see them because of it. I would love to start a discussion about this topic. What do you think? I had an interesting assignment recently, which had an interesting outcome. I was asked to find a senior account supervisor/junior account director on a very well known international woman’s HBA brand. The job specifications were very clear. The agency wanted to have category experience. The job, I was told, had been open for several months; I was told who they had seen and was surprised because I knew most of the candidates they had interviewed. A couple of them were excellent. Nevertheless, I found them a wonderful account person they had not previously met. Honestly, I thought she was a shoe-in for the job. The feedback I received after she met with the group director was very thorough. She was the favorite person they had met, she had the absolute right experience, but she lacked knowledge of the trade and distribution. Of course, this was not part of the specs I received. I called the hiring manager who is someone I have known for many years. She confessed to me that this was the reason she had also rejected some of the other people who had interviewed. I asked her what kind of information she was looking for. She told me that on this account, in addition to both traditional and digital advertising, they were also intimately involved with distribution. All their account people were familiar with distribution, had made sales calls with the client’s sales force and some of their very senior people had even met merchandise managers. The hiring manager was looking to duplicate that, if possible. I told her that it simply didn’t exist anywhere any more. Account people just don’t do that anymore. While it was commonplace twenty and thirty years ago, it is simply no longer part of training or account management. The hiring manager, who was a very senior group director was somewhat surprised, since her brand was from one of the major CPG companies. She was unaware that other agencies which handled brands from the same parent company didn't do this. I told her I was delighted that they did this at her agency but that she would have to teach it to whoever was hired. She had pretty much come to that same conclusion. Some months ago she hired my candidate. I spoke to the account person last week. She has indeed been on store checks and had met and traveled with several client sales people. The best part is that this addition to her background has re-energized her and given her an entirely new perspective on the brand and the advertising business; and, she said she can now have real marketing and sales discussions with her client. She has become a true partner. Bravo for that agency and the account person. How Long Should An Interview Last? New Business Or Sales People - Commission or Salary? What Is The Real Purpose Of Interviewing? Tuesday Odds and Ends - A late roundup of the day's news.